In a pressure cooker, heat the oil and add saute the ginger. Add the water. Add the rice, dal and salt. close the pressure cooker and let it cook for about 4-5 whistles. After it cools check to see if the rice has cooked well and there is no water. In a wok, heat the ghee and add the curry leaves, peppercorns. Add the cashewnuts, cumin seeds, turmeric and asafoetida. 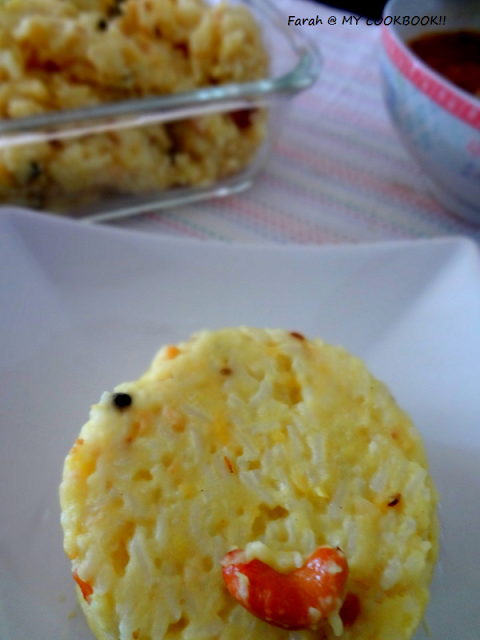 Add the rice to this and mix well on low flame till it combines and is of the desired consistency. 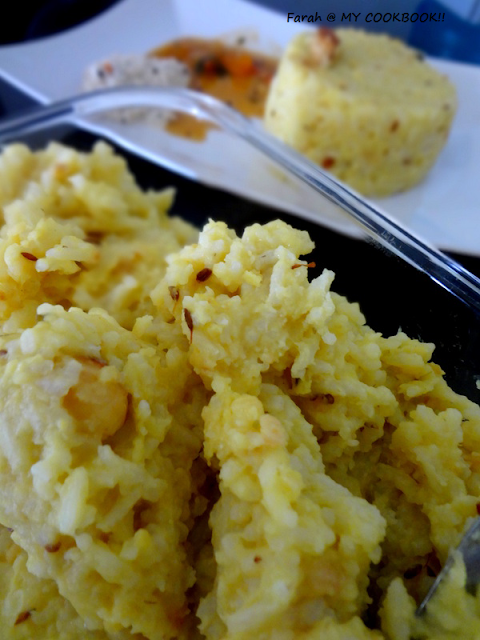 Very traditional and delicious pongal. Love this droolworthy pongal for my breakfast. 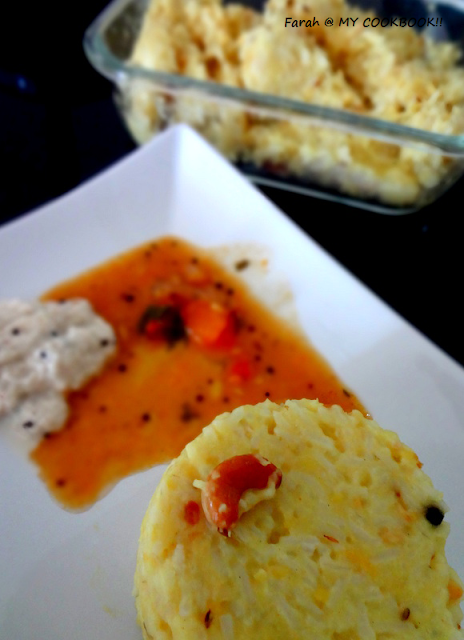 pongal with sambar & chutney.. awesome combination.. well made..